You want to be able to do it all. Be the Best Mom, volunteer for your kids activities, bake some cakes, clean your house. get the laundry done, make healthy dinners, cross train, get some sleep, and also have a life. I’ll be honest. It isn’t easy. I’ll be even more honest. It can’t be done at least all at the same time. Something has to give. That’s just the way life is or at least the life of the Mama in this house. Also in this time frame, I have to decorate a two tiered cake in a circus theme, I’ve got to get J1 (Big Guy) up and out for a Boy Scout Hike, J2 (Middle Son) to a soccer game, J3 (Little Guy) has to go to Goalie Training, host a meeting at my house, maybe sneak in some family time, as always pick up the house and some other things too! During a run this week, I was running with two other running Mamma’s and I found out something interesting. We all said that we make sure that our running doesn’t effect the men in the house. Why is that? I’m not sure, but it seems a common theme. I know my Dear Hubby works very long hard hours and he really doesn’t ask for much. He just needs some quiet fishing time on his days off and maybe a nice dinner now and then. He has never told me I couldn’t do a race. He has never told me that I couldn’t go for a run, bike ride, or gym. He has never been anything but quietly supportive of all that I do. So it’s not him. It’s me. Why? Is it that 1970’s mentality that is still coming through? I think for me (and I’m only speaking for me) part of it is the Mom complex. If something needs to get done, Mom generally does it. I’m getting better about having J1 & J2 help with some things, but the whole reason I am a stay at home Mom is so that I can take care of things around here. I just didn’t know how many hours that require and how much scheduling goes into it! But I am getting better. Kind of. I am learning to say no things and juggle time. Sort of. 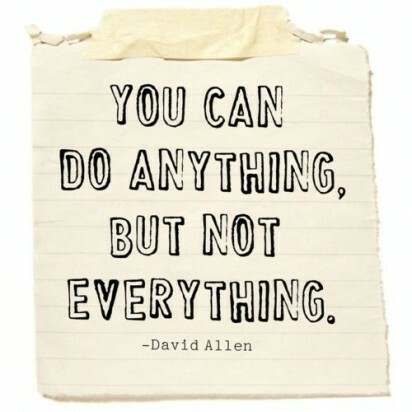 I’m also learning that I don’t need to do it all. Some things really can wait. This morning I was stressing myself out trying to figure out how I was going to squeeze in a run, Crossfit, some household chores, and bake a cake all before school got out. I realized that just by taking Crossift out of the equation it removed a big portion of the stress. Am I sad that I couldn’t go? Of course, but in the whole scheme of things it was an unnecessary stress for today. I need start looking at the big picture. Yes, I’m sorry that I couldn’t go, but once race season is over I’ll get back into my gym routine. So the lesson for today is……… Look at your day that is stressing you out and see what you can change to lift some of your burden off. How to you do it all and handle the stress?????? ?